If you want a perfect gaming PC under Rs.20000 then that is not possible in this Budget. But if you want a decent gaming PC then you are at right place don’t expect great gaming performance from this PC build, but this PC can handle most of the games at the medium resolution at decent FPS. Start with the Cabinet First When Budget is really tight cabinet doesn’t matter most of the time But we take cabinet bit serious and choose FOXIN ATX Cabinet which comes with built-in Power Supply Unit of 500 watts. Which can run all the parts of this PC pretty comfortably. Now Coming on to the Storage guys due to really tight budget I choose only 500GB Internal Hard Disk Drive which is WD Blue 500GB HDD and this will cost you Only Rs.2895 on Amazon India. Now Let’s talk about the main parts which are CPU, Motherboard, and GPU. For this Build, my CPU choice is Intel Pentium Processor G3220 Because this is the best you can get at this Price range it’s not the best for gaming but can do the job. 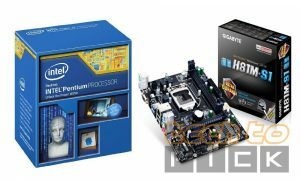 To Support this CPU I choose GIGABYTE H81M-S1 Motherboard. 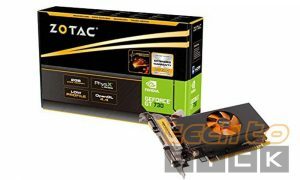 Because this is a Gaming you definitely a good Graphic card which can handle games with ease and for this Build I go with ZOTAC NVIDIA GT 730 2GB GPU which is again a Decent performer in this price range. Now you guys are thinking about RAM, for this build I’ll go with Transcend 4GB DDR3L which is 1600 MHz RAM. Y to go with intel if AMD is giving cheaper and Better gaming performance. It will be convenient to add price along with each part suggested above.